Tales from a tribble: Hmm, Coincidence? That statement may be the only correct statement she has made in her mishandling of this whole sad affair. Too many people have invested in building up this city to allow thugs to tear it down. Then I find out from Talking Points Memo posted at 3:47 pm CT on April 28, 2015 that the mayor is all of a sudden taking back her "thugs" comment. "Baltimore Mayor Stephanie Rawlings-Blake (D) on Tuesday backpedaled after using the word "thugs" when describing the unfurling violence in Baltimore, the Washington Post reported. "We don’t have thugs in Baltimore,"Rawlings-Blake said. "Sometimes my own little anger translator gets the best of me." *Note: I've searched on google but cannot find the exact time the mayor took back her comment of thugs. So, if she said it earlier than the meeting with Sharpton, I stand corrected and apologize. Since the only time it was reported was after the meeting, I will go with that. says her city is being "destroyed by thugs." April 27, 2015: 7:12 pm the Baltimore mayor reiterates her comment that the people destroying the city were thugs with a tweet on twitter. 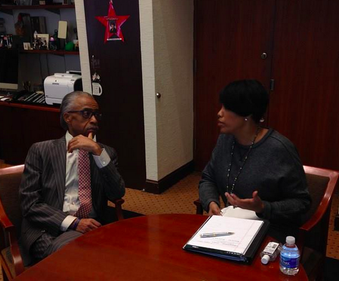 April 28, 2015: at around 3 pm CT Mayor Stephanie Rawlings-Blake has a meeting with Al Sharpton. 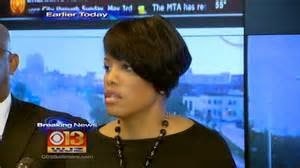 April 28, 2015: it was reported by TPM at 3:47 pm that the Baltimore Mayor Stephanie Rawlings-Blake said that she made a mistake and now takes back her comments that the rioters were thugs. So, the mayor twice made strong comments that the rioters were thugs, *she meets with Al Sharpton and has a change of heart and now says that the rioters were not thugs. To believe that the backtracking by the mayor was a coincidence, you'd have to believe that my being born black after being the off spring of two black parents is a coincidence. You'd have to take that much of a giant leap of faith. The mayor continues to make bad judgement calls beginning with the way that she initially handled the riots, backing off of her description of the rioters, and welcoming Al Sharpston to meet with her. If the mayor had been a white woman, everyone would have been calling for her resignation, but she gets a pass because of her color. Neither she nor Al are doing the community any good by trying to sugar coat the damage that has been done or trying to pretty up the description of the criminals, whether they were students or long time criminals. Our black community will never progress until they take responsibility for what they're doing to themselves and stop blaming everyone else. Those riots were not spontaneous, because the rioters had been warned not to destroy black businesses and every business owner who's business was destroyed should sue the mayor personally and the city for damages. Someone other than the police and innocent business owners should pay a price for the crimes that they committed, but don't hold your breath waiting for true justice. The pity party has just begun and the excuses will flow like a river to excuse the inexcusable. Until the black community gets real leadership, not Al or Jesse, these incidents will continue. The only other hope is that those who are being targeted will finally decide that they've had enough and stand up for themselves. Hope long will whites continue to pay the price for the old tried and true excuse that black's fall back on for everything that is wrong in their lives, "slavery"? I say to them as I say to other blacks, get over it and move on. The people who are rioting and destroying the businesses of others have never experienced slavery. Yes, they are slaves to ignorance and the government who keeps them chained to the government coffers, but they bear responsibility for that and not everyone else. Life isn't fare, but deal with it and make the best of it. If 1 black person can succeed in this country, this is proof that it can be done if you apply yourself and do the work required, this is what Martin Luther King spoke of when he stated that new doors of opportunity were being opened to Blacks, but the challenge would be to get prepared to go through them. I think that he would be so disappointed at how those opportunities have been squandered.